Commercial-grade pencil sharpener for heavy-use environments. Heavy-duty electric DC motor provides reliable power. 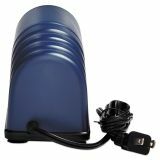 PencilSaver technology eliminates oversharpening and extends pencil life. Rebate Available: Free $50 Visa Gift Card! 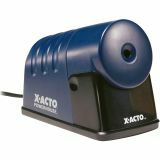 X-ACTO Powerhouse Desktop Electric Pencil Sharpener, Translucent Blue - The X-ACTO Powerhouse is one of the most powerful electric pencil sharpeners available. 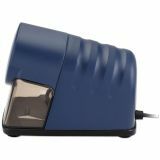 Featuring a heavy-duty, high performance motor and precision cutting blades, this sharpener can stand up to the toughest tasks. This model’s power and durability is reflected in its robust and bold styling. The Powerhouse easily sharpens even the toughest wooden pencils with speed and precision. 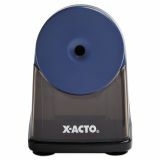 Auto-Reset and SafeStart help protect sharpener and user.